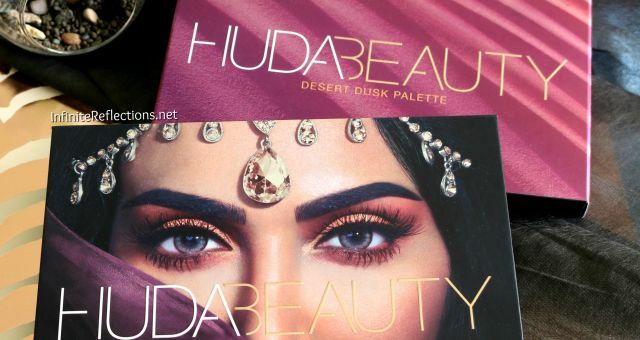 Today, I am reviewing and swatching probably the best and the most favourite eyeshadow palette which launched in 2016. 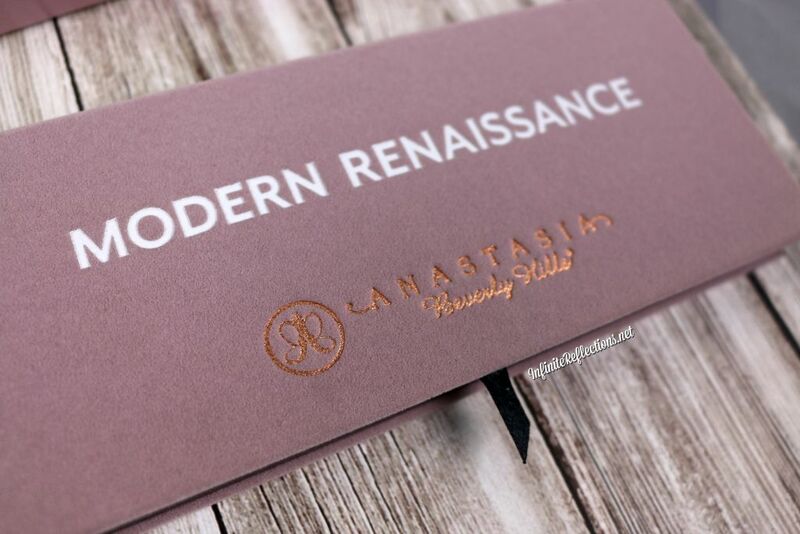 This is, of course, is the Anastasia Beverly Hills “Modern Renaissance” palette. 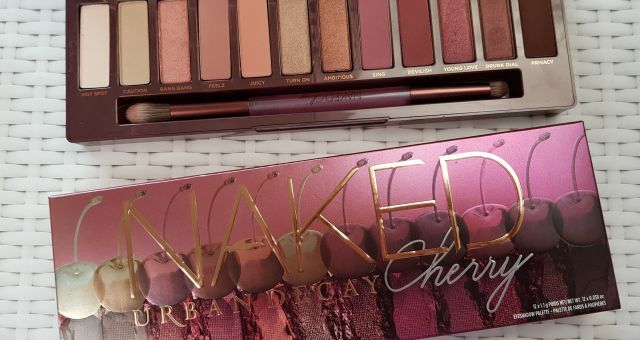 This eyeshadow palette changed the whole eyeshadow game and drive every other company to the warmer berry spectrum of the palette. 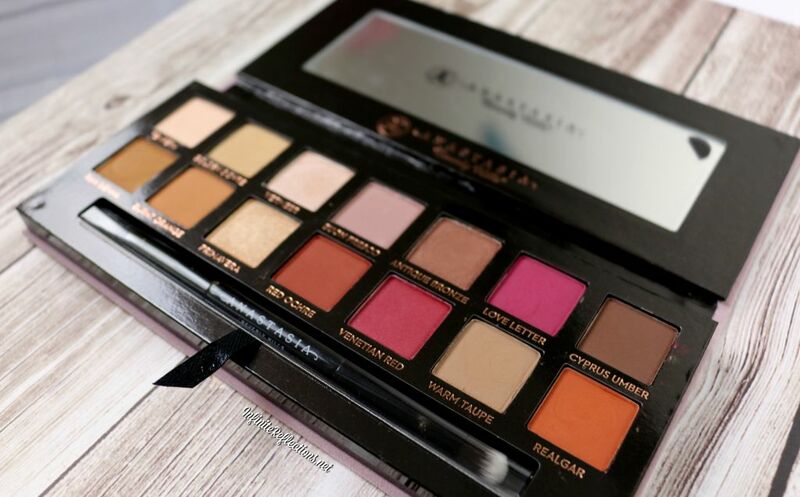 Many companies came out with eyeshadow palettes with similar colour scheme as this one, but this still remains a favourite with beauty junkies, beauty gurus and YouTubers. I got my hands on these really late in the year, it being out of stock for so long. 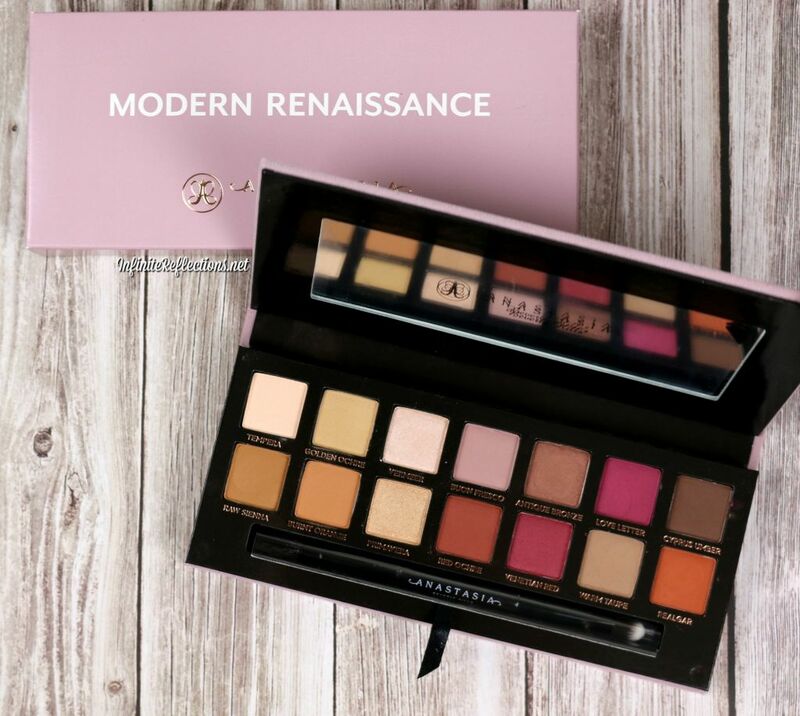 So, I wasn’t one of them who enjoyed this palette last year, but I am going to do so in 2017. 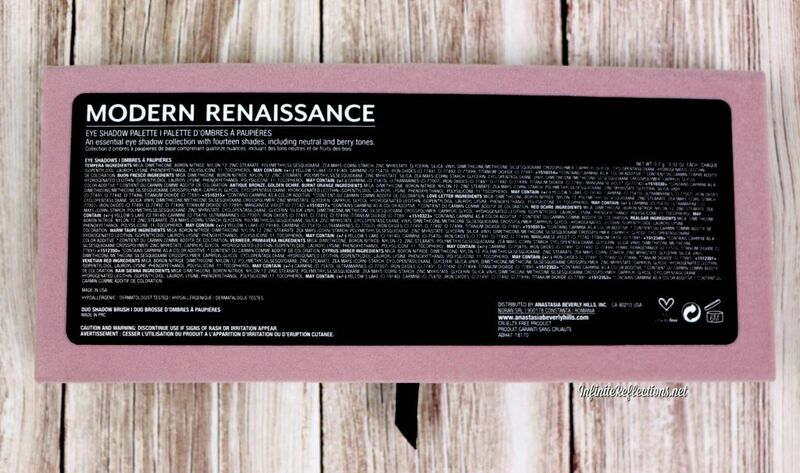 The packaging of this palette is something which I have never seen before. It has a gorgeous pinky lilac luxe velvet cover, which feels very royal to me. It may not be the most practical eyeshadow cover because it might catch all the dirt but it certainly is the most beautiful one I own. I am even keeping the outer box to keep the palette somewhat pristine. 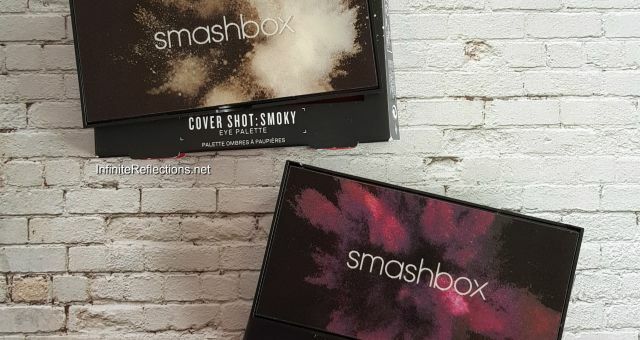 The palette is very sturdy, has a decent sized mirror inside and has a magnetic closure. 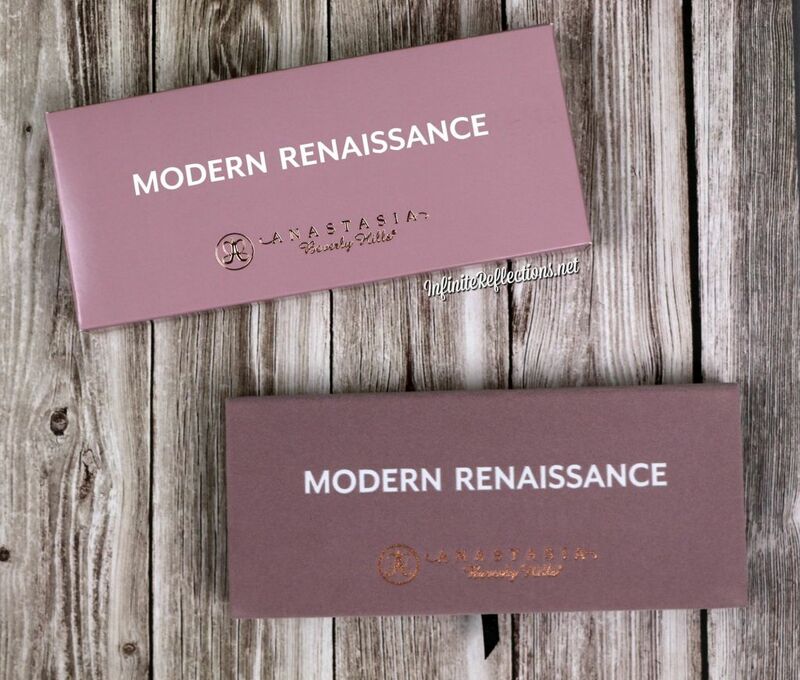 It certainly can be THE ONE palette you travel with. 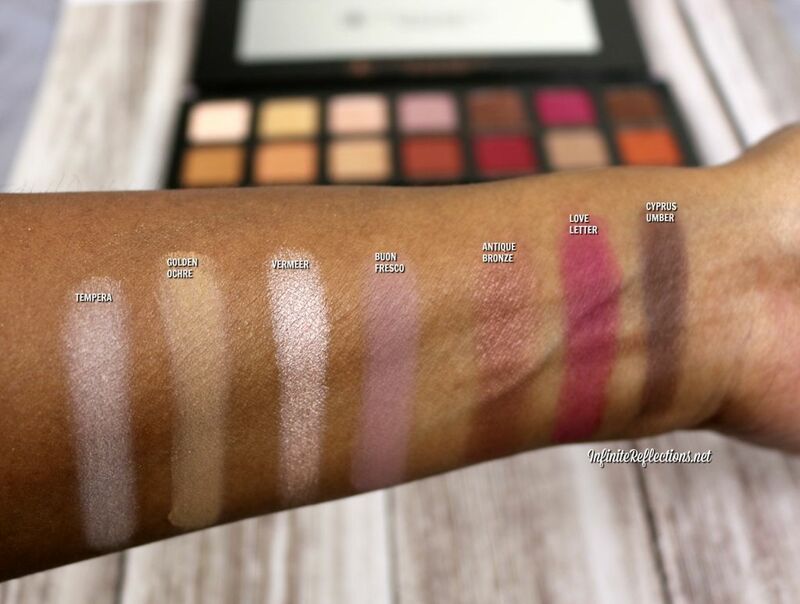 There are 14 eyeshadows in the palette and each pan weighs 0.7 g / 0.02 oz. 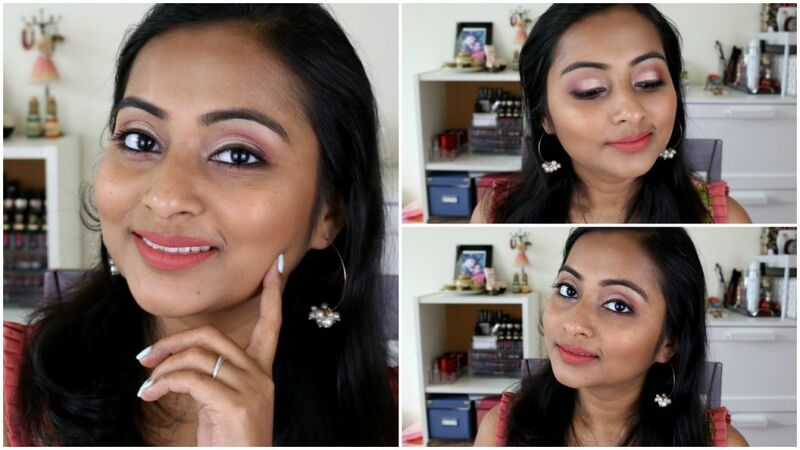 The palette has very pretty plumy berry tones along with neutral tones and is apt for every sort of makeup look. It has a mix of matte, shimmer or metallic and some satin shades. 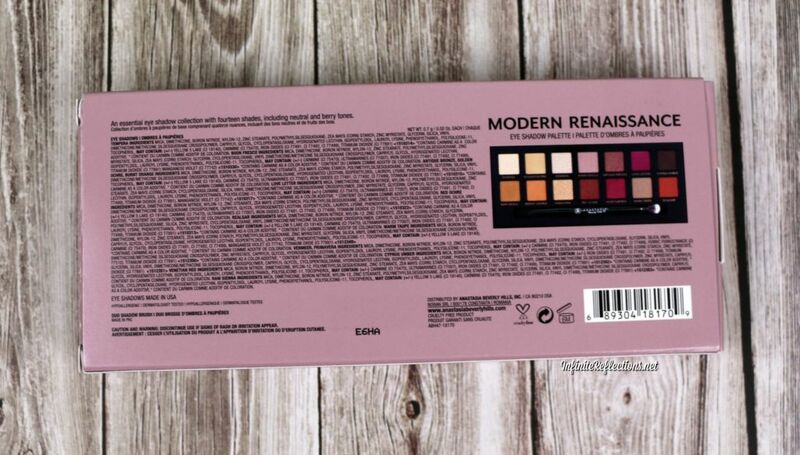 In fact, this palette has 11 matte shades, 2 shimmer or metallic and 1 satin finish eyeshadow. 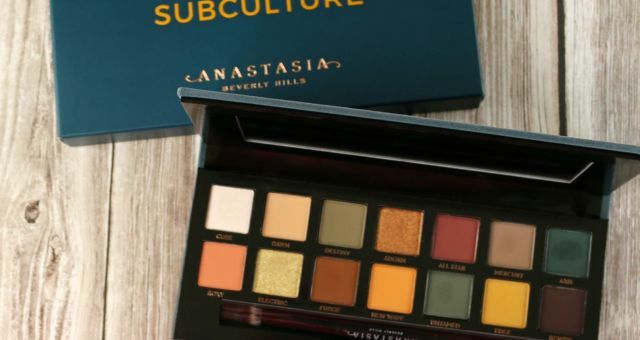 This palette has some of the best matte shades I have seen. 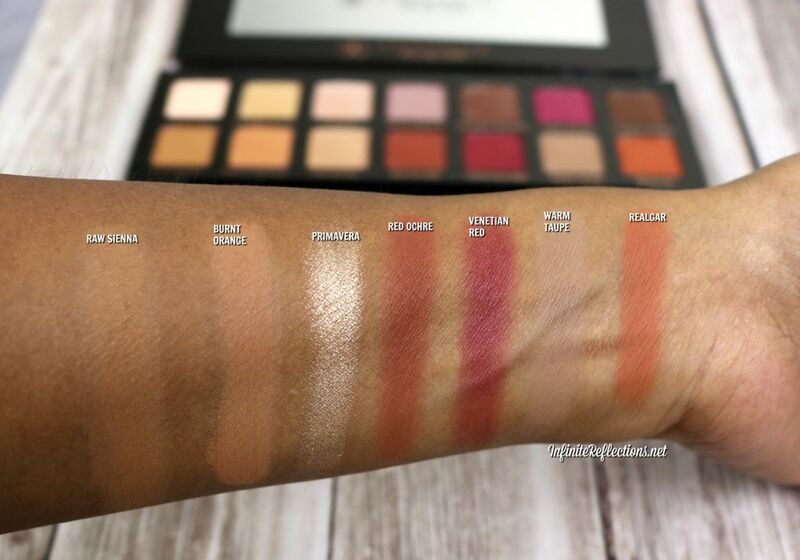 The bulk of the eyeshadows are actually matte but they feel almost silky to the touch and I had to check many times whether it was a matte or a satin. They are of an incredible quality. Although, the two berry toned matte shades feel somewhat less silky and satin compared to the rest, but by no means are they poor quality. They feel beautiful and they blend effortlessly and they have near perfect pigmentation. The 2 shimmers are absolutely gorgeous. They have perfect pigmentation, super soft and buttery and they have a velvety texture. They look just gorgeous as highlight shades or on the eyelids. There is 1 beautiful bronzy shade in the palette which looks pretty matte but has a nice satin finish. This one is also absolutely beautiful, totally matching up to the standard set up by its counterparts. Now, let’s look at individual row swatches and the colours in details. Apart from “Love Letter” and “Venetian Red”, rest of the shadows feel soft and buttery. 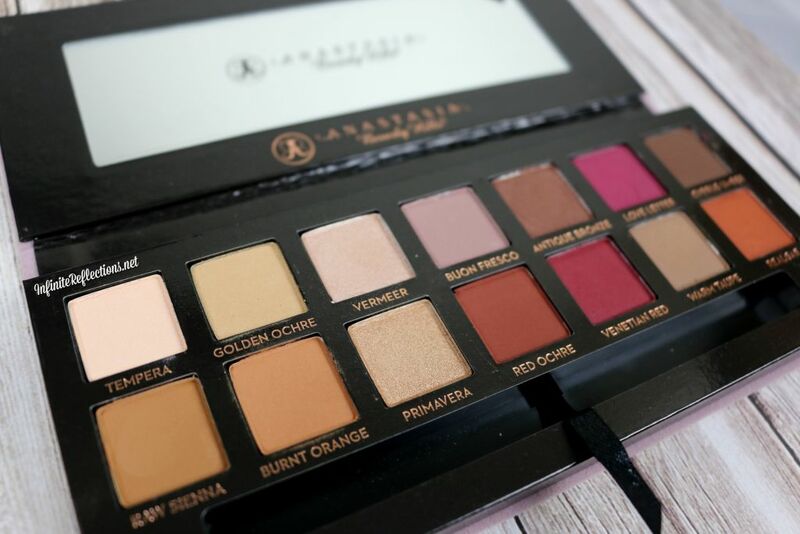 The shades “Love Letter” and “Venetian Red”, feel just a tad bit gritty, which is getting noticed probably because all the other shadows are so soft. But, they are very pigmented and they blend in nicely. The shade “Love Letter” can be patchy at times, but it is workable. It is priced at USD 42 and I got it for GBP 41 from CultBeauty.co.uk.